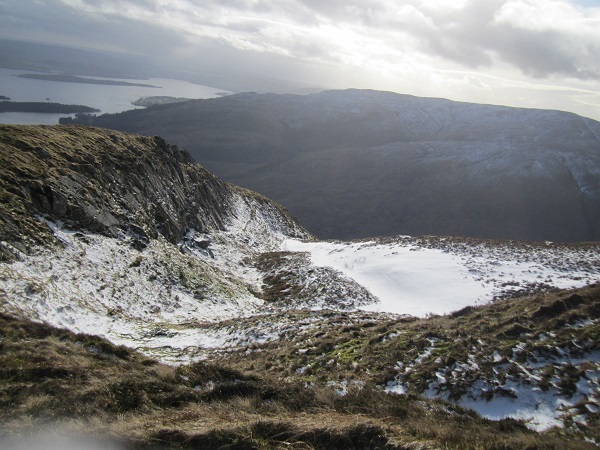 A sound plan – my new Loch Lomond National Park drawing project …… and more? Yesterday we were out walking in the Luss Hills again. 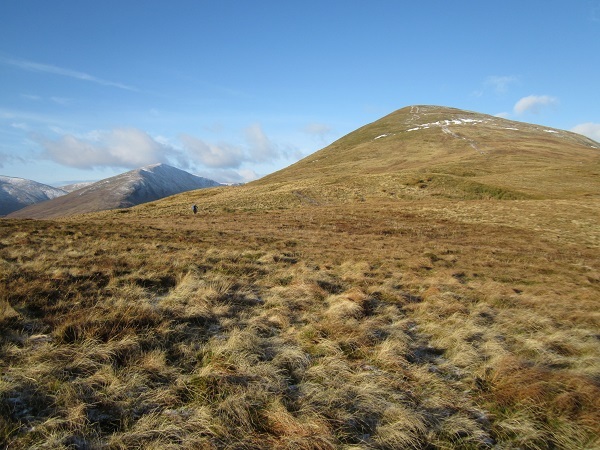 These fabulous steep sided, mainly grassy little hills are situated on the edge of the Loch Lomond National Park and give fabulous views in all directions. As you know, we are particularly keen on walking the two hills of Beinn Dubh and Mid Hill that sit behind the village of Luss and over the 15 years since our friend Guy first introduced us to the hills, (on a cold, damp, misty day) we must have been back at least a couple of times each year. In the summer they make for a very pleasant short day …perfect for ambling along and sitting just looking and enjoying the scenery. In winter they are a perfect place for the short daylight hours …especially if like me, you can’t see too much and move very slowly. So then, we were back there yesterday in what was, for this last few months, a rare day of calm and bright conditions. This time though, we didn’t just go for the walk and the scenery; this time it was for me, a working walk. Since completing the big Glen Rosa drawing project at the end of 2014, I’ve been keen to do another large drawing project and as you may know, I’ve been starting to work on using sound with my paintings and drawings. I was very kindly lent a sound recorder by a local theatre sound engineer and told to go out and just see what happened. For most of last year I was taking the recorder with me on our walks into the hills and just seeing what kind of sounds I captured. I didn’t really have much idea of what I wanted or what I was doing ….just that I wanted to capture sounds that conveyed something of the place we were in. I have to admit that I made many really poor recordings during last year but that said, I have started to have a better idea of what I’m after now and have several quite interesting recordings. I decided a few months ago that it was important for me to fix some kind of actual project so that I wasn’t just going out making random recordings. I wanted to do a piece of work that was based on somewhere I knew really well and that we could reach fairly quickly without too long a drive …. and somewhere that we could go throughout the year and in all sorts of conditions. 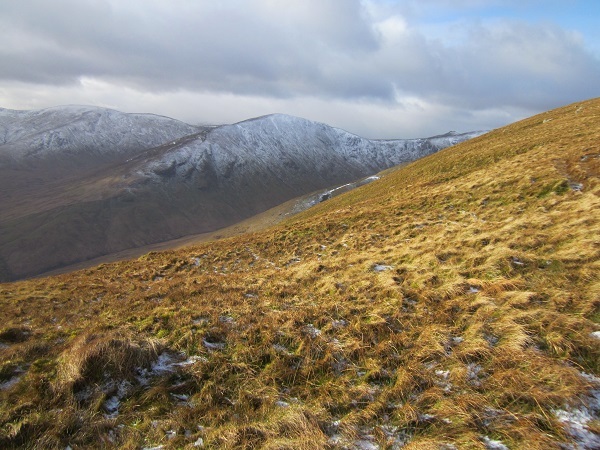 Beinn Dubh and Mid Hill seemed to fit the bill and so this new large drawing / sound project is to be based on these hills. With the Glen Rosa piece I wanted it to be one large drawing and this meant ‘borrowing’ the local Harbour Arts Centre gallery wall to do it. That drawing was done in graphite and as it turned out only took 17 days to complete. But of course, I can’t keep on borrowing the HAC gallery wall every time I want to do a big drawing and so I’ve decided that this new project (to be completed in pastel rather than graphite) will be done in sections or panels, each one being based on view points on Beinn Dubh and each one based on the scene viewed under different light and conditions. I started the first section back before Christmas and am about to start the second piece shortly. I think that the completed work will be made up of around 7 sections. I am now in process of trying to gather sound recordings and to work out exactly how I might use them when the finished work is finally exhibited. At the moment I’m working along the lines of having a different recording for each section of the drawing and these to be played as a loop during the course of the exhibition. But, as you know, most of my work evolves and so these early plans may well change. I haven’t yet got a way to share these early recording with you but am planning to seek advice soon. Finally, as you know, I’ve been working with US landscape photographer and film maker, Daniel Thornton over the last couple of years. He is making an hour long documentary about my work and this project is still in progress. A few months ago he put me in touch with some colleagues of his who work for a very big software company and who are working on new technology to help blind and visually impaired people appreciate two dimensional images ….. paintings, drawings, photographs etc. They are keen to work with an artist and when Dan told them about my own work they were interested in discussing some kind of collaboration. The discussions are at an early stage but I think we all feel that there is huge potential. 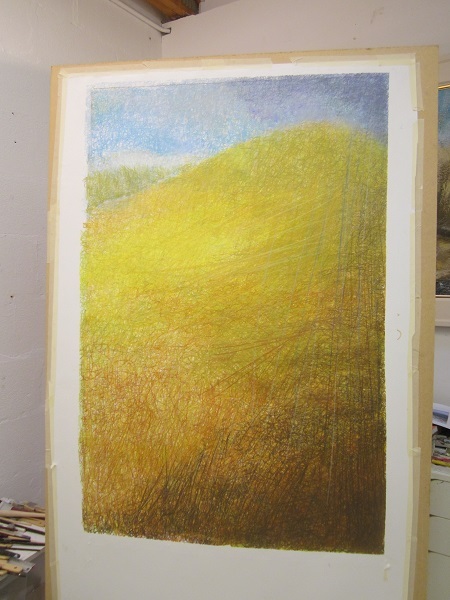 It would be great to have the opportunity to create another large sound / drawing work based on a landscape in the US and combines it, not just with a background sound but also with different levels of audio that would help other visually impaired people enjoy the work. 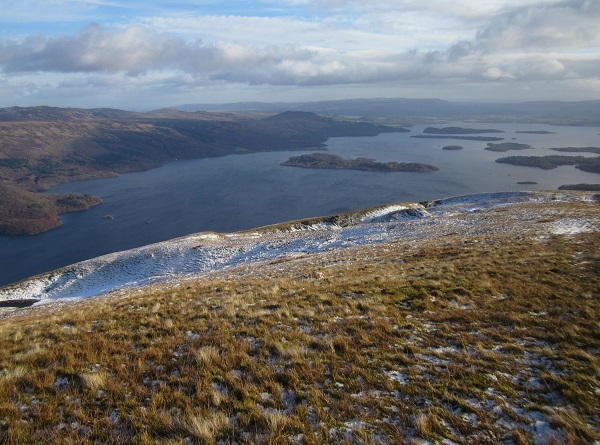 Perhaps the new Loch Lomond NP / Beinn Dubh work could be exhibited alongside a new American work? A long way to go in more ways than one, but it is really interesting and it may allow me to continue working as a professional artist even if my sight deteriorates further in the future. I’ll keep you updated with developments.